Emergency crews had to use the Jaws of Life after a wreck in Johnston County. CLAYTON, N.C. (WTVD) -- Two men were pinned in their truck for some time in Clayton on Saturday afternoon before emergency used the Jaws of Life. 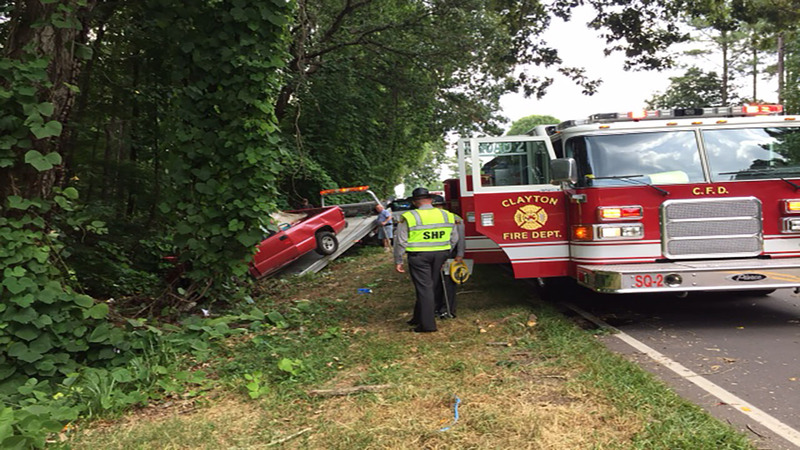 Our crew on the scene said a single car went off the road and hit a tree, pinning the men. Emergency crews used hydraulic tools including the Jaws of Life to get them out and both were immediately taken to the WakeMed trauma center, according to our crew. It's unknown right now why they went off the road but authorities are investigating. One lane of the highway was closed for over an hour.